AUBURN, Ala. – Alfalfa was once a dominant forage in the Southeast. Several factors eliminated many productive alfalfa stands. Insects and the harsh environment found in the Southeast were a contributing factor in the decline in production of alfalfa. 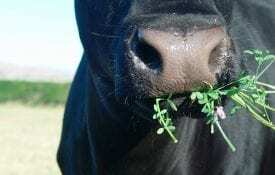 Recent work with alfalfa mixtures has revealed new opportunities for this forage. 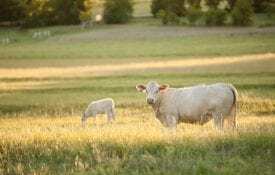 forages for hay, silage and pasture. In recent years, researchers created new varieties of alfalfa. These varieties are better able to battle and grow in these conditions. Thanks to these new varieties, alfalfa is once again a desirable forage in Alabama. Recent work with alfalfa has explored incorporating it into mixtures of bermudagrass. This mixture is desirable because alfalfa can help extend the forage growing season during the spring and fall months and improve the quality of harvested forage. 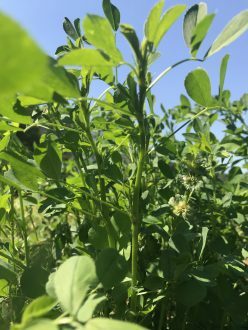 Dr. Kim Mullenix, an Alabama Extension animal science specialist, said that many believe that alfalfa cannot grow in the state. An alfalfa stand may generally last three to five years, possibly longer. Growing alfalfa along with warm-season perennials such as bermudagrass comes with some risk to it that producers must manage. When the alfalfa plays out, the warm-season perennials will reclaim its dominance in the stand. Mullenix said there are certain soil requirements that producers must maintain to grow alfalfa. Phosphorus and potassium are especially important nutrients when growing alfalfa. 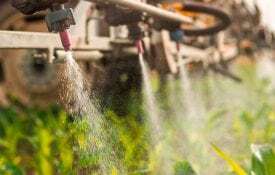 Its nutrient requirements may be high because when grown with grasses, there is competition for potassium. Mullenix said the guidelines on harvesting alfalfa-bermudagrass mixtures for hay require attention to the stage of alfalfa growth, harvest interval and cutting height. Mullenix said to address any insect problems quickly, scout for insects in the alfalfa often, from spring through late fall. Mullenix recommends referring to the alfalfa IPM (Integrated Pest Management) guide to learn more. The guide is available as a free download on Alabama Extension online. For more information, visit Alabama Extension online or contact your county Extension office.